The goal of this site is to assist you in getting “an accurate decision in the least amount of time”. 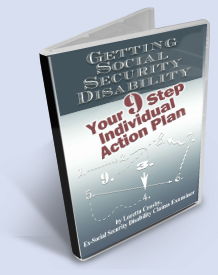 So, in line with that, this new section will give you examples of things that can potentially slow down your ability to get a quick decision on you Social Security Disability (SSDI) or SSI claim. Some of these tips are taken from DE Other Side, a monthly disability newsletter designed to assist you with your claim. Be sure to sign up for this newsletter if you haven't already done so. If your Social Security Disability or SSI medical condition is severe and meets a blue book listing, you can get fast approval and or presumptive disability benefits while your examiner processes your claim. More articles in our Tips for An Accurate Decision section. Read the Newsletter Archives here.